Today’s Cat® and other heavy equipment is more sophisticated than ever. While these innovations are driving performance and productivity in job sites around the world, they also require specialized service support for repairs and maintenance. Gregory Poole is the exclusive Cat dealer in eastern North Carolina, the only place in the region to offer factory-authorized support for the company’s current line of equipment. Our Technical Services department is committed to providing service to our clients that delivers the highest in product reliability and performance. The Technical Services team enhances our Service department’s ability to provide complete and total support to clients. They act as a liaison between our technicians and the Caterpillar® company’s internal support team. Complementing the experience and training of our technicians, Technical Services provides the in-depth knowledge necessary to troubleshoot problems with the sophisticated components that power today’s Cat equipment. Technical Services offers streamlined solutions to achieve the lowest product problem impact. Working in a collaborative environment and having access to the full resources of the Caterpillar company and its nationwide dealer network, we can go the extra mile. We provide innovative solutions to the technical problems that are costing you money and affecting your productivity. The Technical Services team is also responsible for tasks related to processing warranty claims and developing ongoing training for our technicians. We work both internally and with local community colleges to help ensure the next generation of repair professionals has the skills necessary to properly service the advanced equipment of the future. We can also provide basic technical support directly to our clients. 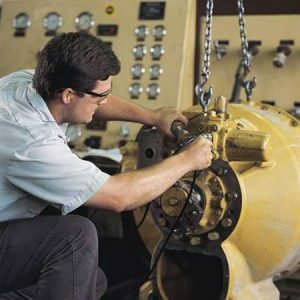 If you have an issue with any of the technology on your machine — such as Cat Product Link™, VisionLink® or Computer Aided Earth Moving System (CAES) platforms — we can try to troubleshoot the issue over the phone, saving you a trip to your local service department. For more information, call our Construction Technical Services Department today.